What if your handheld tools knew what needs to be done and were even able to guide and help you complete jobs that require skills? 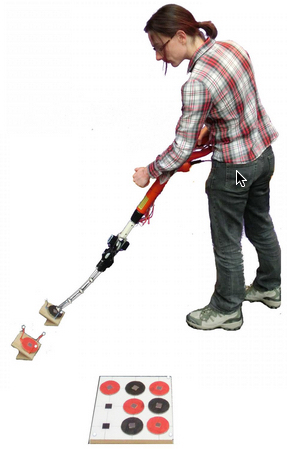 University of Bristol researchers are finding out by building and testing intelligent handheld robots. Think of them as smart power tools that “know” what they’re doing — and could even help you use them. The Bristol team has experimented with tasks such as picking and dropping different objects to form tile patterns and aiming in 3D for simulated painting. The robot designs are open source and available on the university’s HandheldRobotics page.